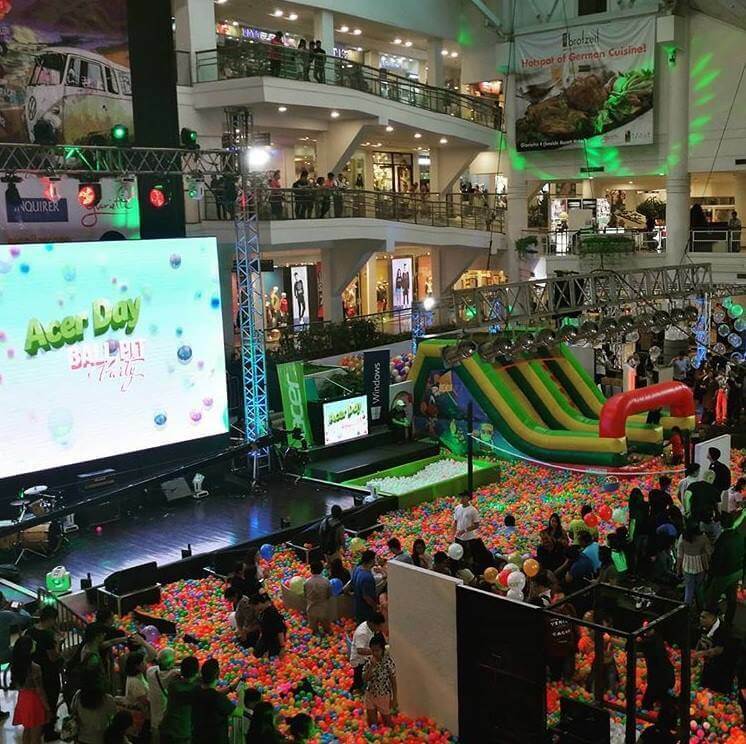 With a theme of “Be Cool Everyday,” Acer Philippines held a Grand Ball Pit Party to celebrate its first transnational and biggest brand day event at the Glorietta Activity Center. Acer Day was celebrated in 14 countries, including China, Hong Kong, India, Indonesia, Japan, Korea, Malaysia, Philippines, Singapore, Taiwan, Thailand, Australia, New Zealand, and Vietnam. In the country, popular rock artist Basti Artadi and hard rock band Kjwan graced the stage to excite more the Acer fans who attended the celebration.In addition, popular DJs Euric and Nina were also present in the gathering. “Acer Day was conceptualized to continually refresh and breathe new life into the brand, as well, as to boost the public’s awareness and knowledge about Acer products,” Acer Philippines Sales and Marketing Director Sue Ong-Lim said. Acer also promised to fans that Acer Day just marks the beginning of more celebrations of the brand. Consumers are also advised to expect for better get-together soon. It was revealed that every August 3rd in the future will be Acer’s brand day, where new brand activities and events will surely happen. Meanwhile, the Acer Day event website officially started last July 21 and will run until October 3. To participate, consumers only have to log in with their social media accounts to participate in a total of 11 daily challenges. These challenges will help them earn Cool Points, which may be exchanged for raffle tickets. Five Acer Swift 7, one Acer Spin 1, and three Predator Helios 300 will be drawn on October 11. To learn more about the treats and exclusive deals, visit the event website at www.acer-day.com/ph.